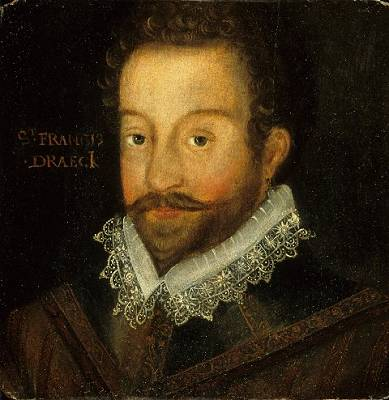 It’s a bit frustrating that Sir Francis Drake’s character is so underused in the Uncharted series… History books will reveal that he really was an extraordinary man, but what we see and hear about him in the games fails to live up to that. He’s summed up in a rather generic way, it’s just so unfitting for one of the finest sailors in history. Anyway, like in the first game, Drake’s goal is to discover something his supposed ancestor supposedly searched for a long time ago. As usual, an evil group is also after the same thing. It’s up to Nate and his friends to stop their villainous plans and save the world. I won’t go on about Indiana Jones again, I think I talked enough in the reviews of the first two Uncharted games about how it’s a clear inspiration for the series. 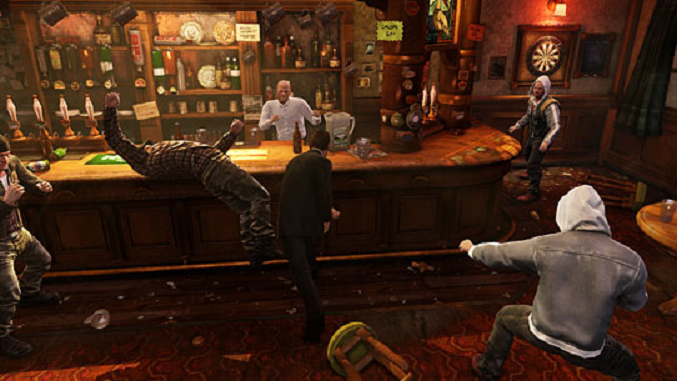 The game starts in a most fascinating manner, with a brawl in an English pub. Very soon, the rather weak villain and her accomplices are introduced… And then, we are treated to a segment giving us some much-needed background regarding Nate and Sully, which fans of the series will undoubtedly appreciate. In short, the beginning is absolutely fantastic. After the first few hours, it really seemed to me like this game would surpass its predecessor. Drake and Sully’s history was the clear peak, in terms of story. Unfortunately, the game fails to follow up. The rest is a rather boring and predictable affair, and it’s not the story or characters that will keep you playing, but rather the beautiful and truly varied environments, the cinematic experience. That’s not a bad thing – we need games like that, especially ones as finely crafted as Uncharted. But do not seek more than a fun diversion in this game. The cast is once again a strong point, although, overall, it lacks in comparison to the second game. Detailing the relationship between Drake and Sully is the biggest bonus fans of the series will receive. And it’s really worth it. Throughout the story, the two are closer than ever before, and they work together during some of the missions. The new addition to Drake’s squad, Charlie Cutter, is also a pretty cool guy. Although big and strong, he isn’t all muscle and no brains. While his design is a bit on the generic side, his personality will surely be a pleasant surprise to many. Chloe makes a return, not really being any different from the second game. 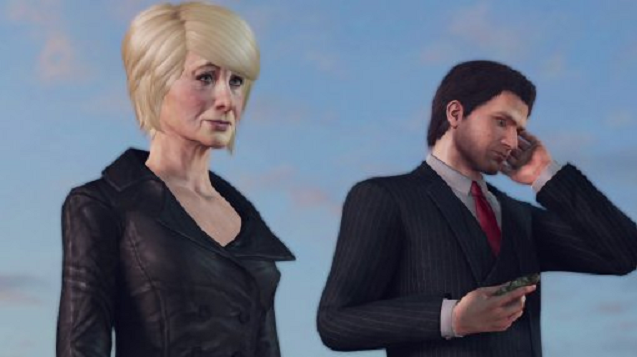 Elena is also the awesome character from the second game, showing concern for Drake, but still doing her best to aid him for the greater good. The one thing off about her is her design – for some reason, her face is quite different from what we got used to in the first two games. Unfortunately, as cool as Drake and his friends continue to be, the villains here are really disappointing. The main villain is an elderly woman named Marlowe, and her sleek in terms of looks, but quite nasty right-hand man is Talbot. The two are British, and also the leaders of a centuries-old power-seeking secret order. One more interesting thing about them is perhaps their occasional use of hallucinogenic drugs to try to bend Nate and his friends to their will. 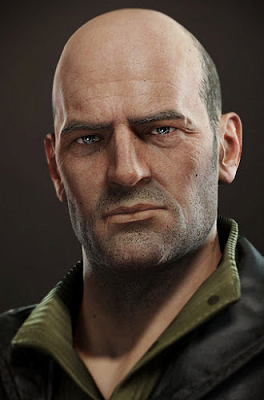 But, as a whole, they’re much more annoying than really threatening, absolutely nothing in comparison to Lazarevic from Uncharted 2, and weaker even than the first game’s party of baddies. 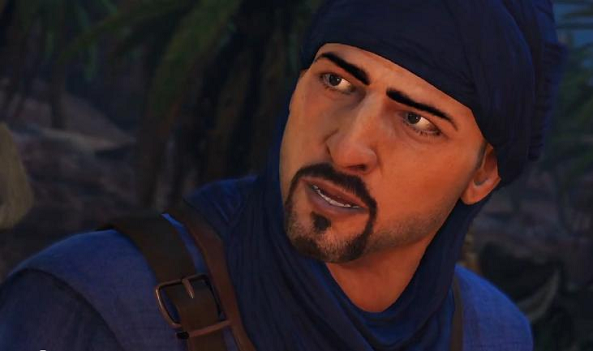 In a rather weak attempt to emulate the awesome Tenzin from the second game, an Arabian sheikh named Salim is introduced later in the game, who also serves the role of Drake’s sidekick for a portion of the story. He, however, fails to make half the impact Tenzin made, and his motivations for helping Drake are rather weak – even though he knows Marlowe and her subordinates must be stopped, it’s rather strange that he trusts Drake, another foreigner, so easily. But again, given the profile of the game, we should not judge the storyline that harshly. 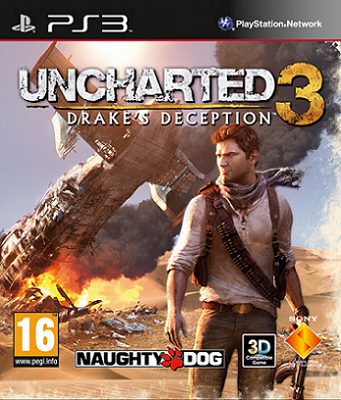 You don’t make changes in a working formula, and Naughty Dog know that well. 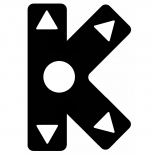 The core gameplay that players are familiar with from the first two games remains. It is mostly polished, some issues are fixed. It must be said that, despite the fact that the game is about as long as the first two, it feels like there is much less platforming here. Gunfights and scripted sequences hog the spotlight this time around. In result, the linearity of the game is that much more in your face. That said, the scripted events are really strokes of genius sometimes. There are a few chase scenes, in which you will find yourself in either role (chaser and chased), and they are great fun! Certainly among my favourite parts. There is also a frantic escape from a burning house that will keep you on your toes, and a few other fun sequences. There are other impressive details about the game, like the cruise ship level moving into a fully procedural emulated ocean that behaves potentially differently every time you boot that level (you will learn about this detail if you watch one of the “Making of” movies included on the disc). Another nifty detail that impresses is the fact you can push around chairs, crates and such as you move around levels. However, you can not really interact with the environment (like in, say, Half-Life 2) those physical features seem to only be there for the hell of it. 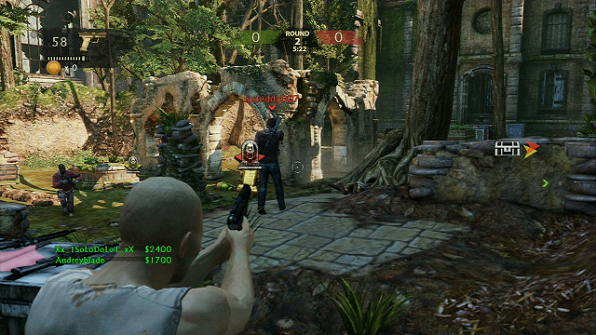 Third-person cover shooting is once again the main gameplay feature, the enemies offering comparable challenge to what was seen in the second game. That is to say, you’ll die occasionally, but there won’t be any spots that’ll take more than a few tries to get through. I can recall one or two points when there are a lot of enemies pitted against you, but they can be picked off one by one and ultimately overcome with clever use of the terrain and hiding spots. The weapons available once again follow the standard of small gun, large gun, grenades, with the guns more or less the same as in Uncharted 2 (there are some additions, but nothing really notable). Fistfighting sees an improvement in comparison to the second game, the terribly easy counterattacking option is now gone (you can avoid hits via a quick press of a button, but you don’t necessarily get a free hit for that) and battles feel more “real-time” now. Puzzles are more scarce than in the first two games, and their difficulty hasn’t changed – it’s still slightly above easy. The rule of simply following what Drake’s journal says stays. Platforming is also a bit lacking, barring a few nice stunts, especially during the aforementioned chase scenes. But it has to be said that it’s firmly become second fiddle to shooting. 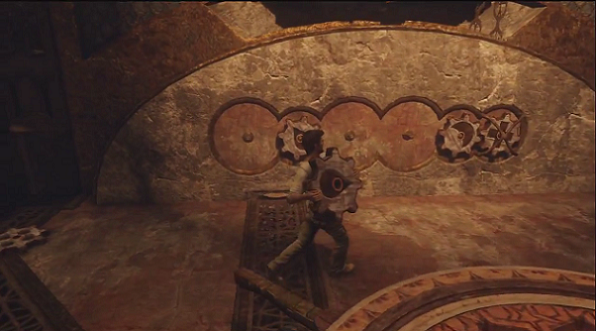 There are a few boss-like battles in Uncharted 3, with much-tougher-than-the-average enemies. Those are, again, less than they were in the second game. The practical lack of bosses is an aspect of the Uncharted series that I really appreciate, as it’s denying an age-old formula in games and proving that a level/segment does not need to be finished with a boss fight to work well. In that respect, it’s a relative coincidence that the final battle in Uncharted 2 works so well – it’s simply due to the powerful villain the game had. 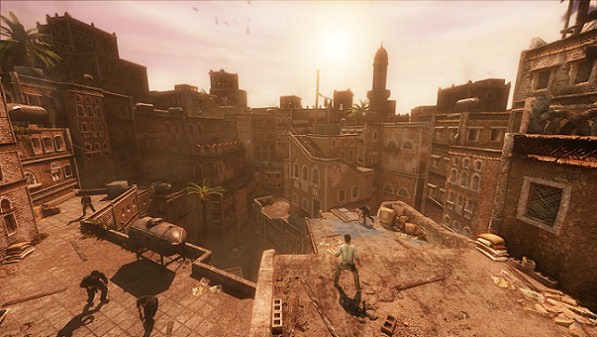 Like the second game, Uncharted 3 offers a rich multiplayer experience. It is even a few steps above what players got in Uncharted 2. Perhaps the relative lack of content in the main game, compared to its predecessor, can be explained with the effort they put into crafting the multiplayer. Leveling of characters, money and upgrading gear are available again, as are cooperative, as well as competitive modes, but there are new quirks like 3-team deathmatches, power plays (making things more interesting when one team is much stronger than the other), and the unique “experimental” match modes available in The Lab. A really great feature of Uncharted 3’s multiplayer is that it allows split-screen multiplayer in all modes except Free for All. Both players can log in via their own PSN IDs and level up. 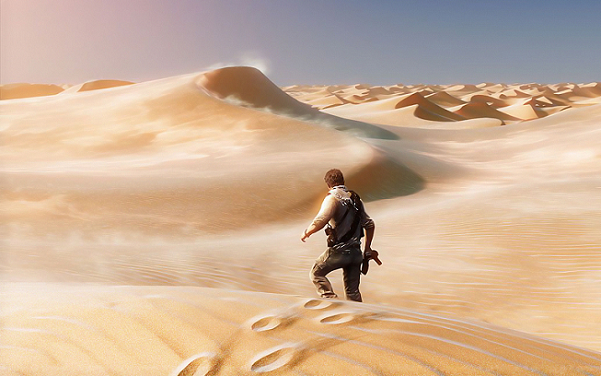 Uncharted 3 looks absolutely stunning. The visual appeal is the thing that will first grab you, and quite probably the thing you will enjoy the most from all the good aspects about the game. The aging PS3 hardware has been pushed to its limits, and the result is very appealing. If anyone thought Naughty Dog couldn’t do any better than the beautiful Uncharted 2, they were wrong – at least from the technical side. Now, the desert does not look as amazing to me as the snow in the second game, but that’s a matter of personal preference more than anything. The sand and your impact on it as you walk are finely crafted. The desert is this game’s main area showcasing Naughty Dog’s technical prowess, like the jungle in the first game and the snow in the second. But the shipyard and cruise ship levels are also very impressive. Also, treasures that you will pick up during the game are visible as the very items they are, as opposed to being just a shiny spot like in the first two games. The one thing I disliked about the graphics is, as I mentioned above, Elena’s changed facial features. 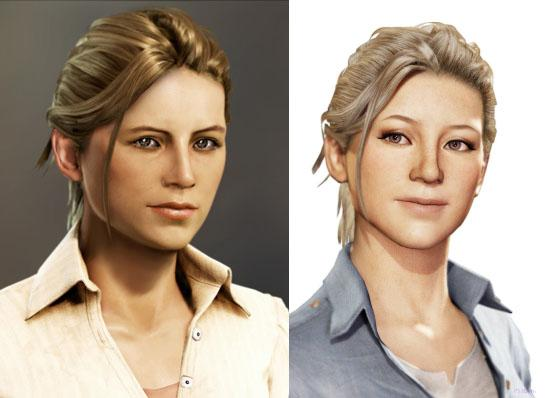 I don’t know what the hell happened there… She was quite pretty in both Uncharted 1 and 2, why they decided to change her is beyond me. I do not like her new look nearly as much. Fortunately, at least her personality stays consistent with what we saw in the second game. The soundtrack’s quality was on par with the first two games – that is to say, enjoyable overall, but nothing that really stands out. The music fits the atmosphere of the game very well, with calmer tunes during exploration and more dynamic ones during action. Finishing the reviews of the series (at least its PS3 entries, as I am sure we’ll see Drake again on the PS4), I’ve got to finally post a version of the Nate’s Theme, one of, if not the best Uncharted tune. Uncharted 3 does not quite live up to the high standard its predecessor set, but it comes close enough. There are numerous really thrilling points that the player will enjoy greatly, such as the chase scenes. Some more light is also shed on the relationship between Drake and Sully. The gameplay is an improvement, if a slight one, over the second game, and the multiplayer will give the dedicated players tens of hours of fun on top of the main game’s 12-15. The villains are a bit on the weak side this time, but the protagonists are a fun bunch, as usual. The graphics are stunning and probably the best the PS3 will see. 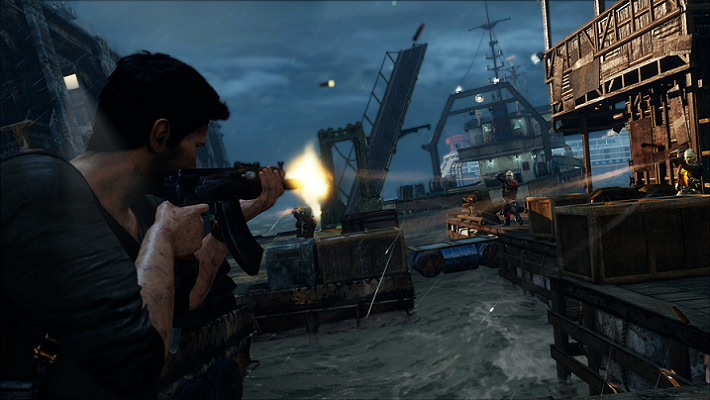 Ultimately, Uncharted 3 caters nicely to “today’s gamer,” if such a term can be used. People who are into things like Call of Duty, Halo, Gears of War. People who enjoy a linear experience and are impressed by beautiful graphics, special effects, explosions – in short, people who appreciate gaming coming closer to movies as a medium. 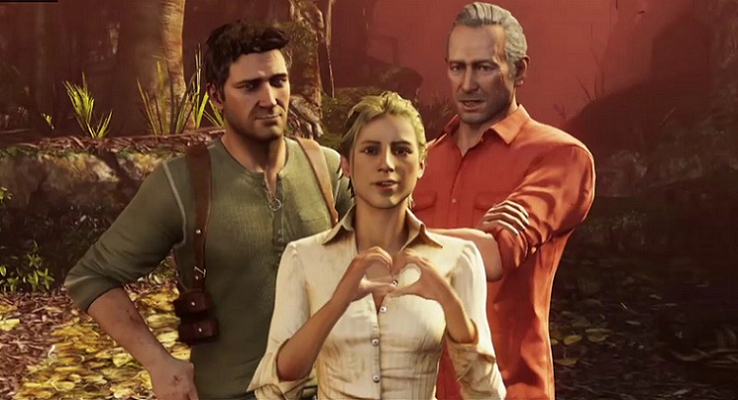 They will love Uncharted 3, just like they loved the second one. I also like it for what it is, but the series is a bit lacking in substance. Still a fun ride, though, and I’m looking forward to the inevitable fourth installment (probably an early PS4 title).